As we grow older, our bodies often face new challenges. For this reason, understanding how physical therapists can help with geriatric rehab is vital for aging adults. At Peak Performance, our team is ready to help older patients find all the help and support they need. One reason our services are so helpful is our team works to communicate clearly with you. For one thing, we always make sure you have all the information you need to know about your therapy. We also take the time to listen to your concerns and goals for your therapy. Our team uses the information we gather during our communications with you to help build a more effective therapy plan. This focus on communication is especially important when our physical therapists are helping you with geriatric rehab. Our team at Peak Performance wants to help you learn how our physical therapists can help you with geriatric rehab. One way our team can help is if you’ve injured yourself. We know injuries can take longer to heal as you get older. However, our team has many therapies at our disposal that may benefit you. For instance, we offer aquatic therapy that’s easier on your body than land-based methods. We may also be able to help you find ways to deal with arthritis. Our team knows that natural wear and tear on your joints may cause you to develop arthritis as you age. In fact, arthritis may cause you a significant amount of pain and drastically affect your quality of life. It may even cause you to limit how much you move every day. However, our team can create a therapy program for you that may help get you moving again. Another issue our therapists may be able to help you with is balance and gait issues. We’ve found that older people tend to have more trouble maintaining their balance. Our team has also noticed that the way you walk, or your gait, may degrade as you age. Our team can help you build a plan to tackle loss of muscle condition, joint instability and other issues that may be affecting your balance and gait. 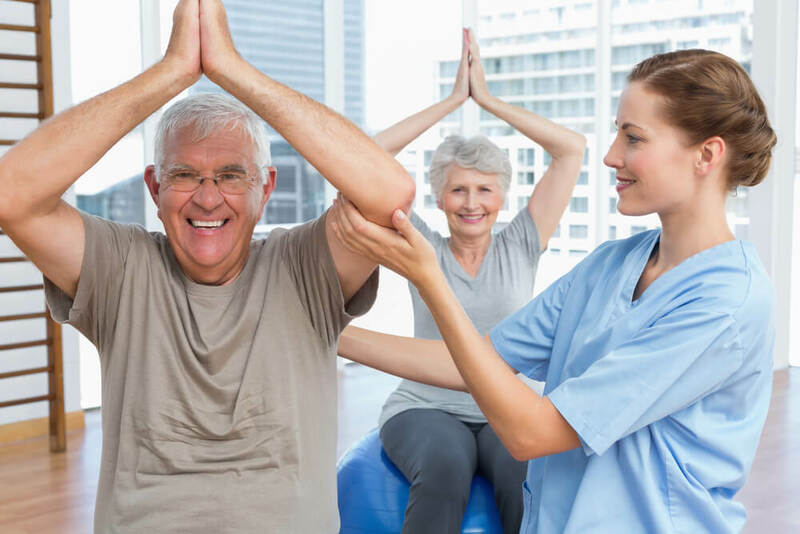 All these benefits may be possible with the geriatric rehab services offered by our physical therapists. However, the biggest benefit you may get from your therapy with us is a better quality of life. If you’re ready to turn to Peak Performance for help with your age-related issues, there’s only one step you’ll need to take.